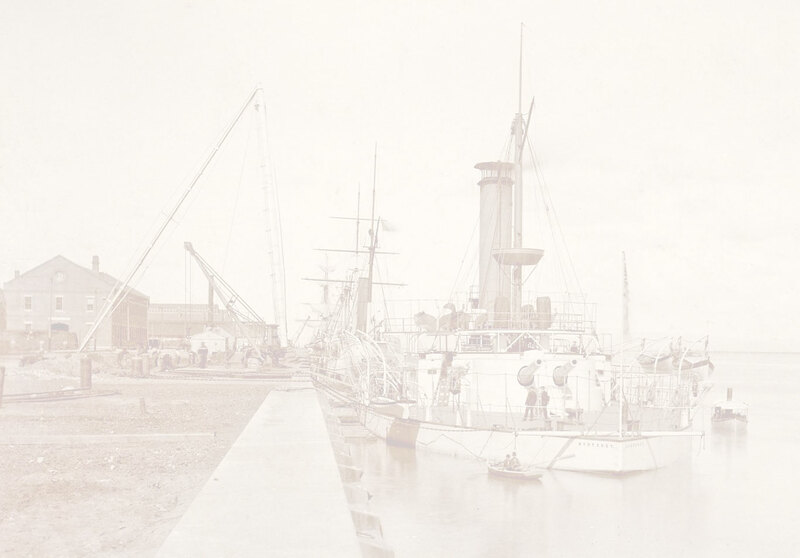 Close-up of the Argentinian armored cruiser Garibaldi. 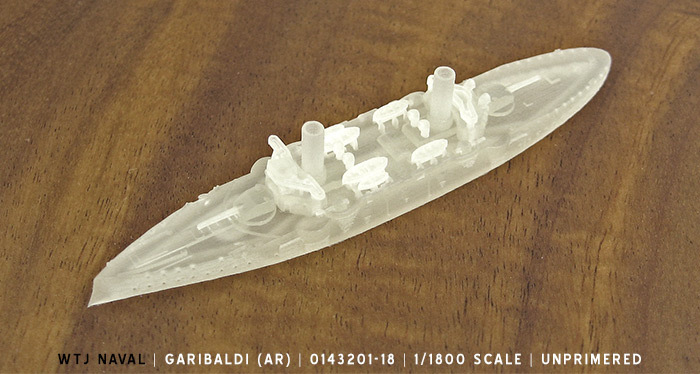 Based on Italian Garibaldi class, but with two 10" gun main armament instead of the mixed armament common on the Italian ships (The Argentinian Garibaldi also had different anchor stowage). All rapid prototyped WTJ Naval ships are sold in their original unprimered finish. Thorough washing in liquid detergent is recommended before painting.